THQ Nordic has announced that starting today, those who pre-order Darksiders III can download and play Darksiders: Warmastered Edition. 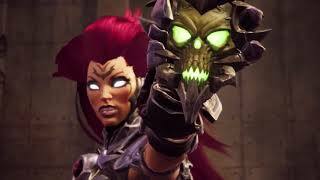 You'll also get the enhanced version of Darksiders II: Deathinitive Edition available later this month. 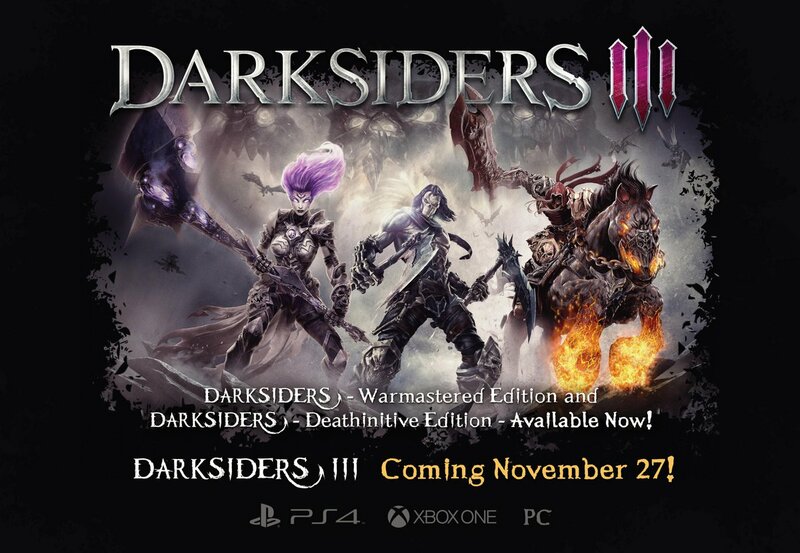 Players who pre-order Darksiders III Blades & Whips Edition from the Microsoft Store will be able to download and play the enhanced Darksiders: Warmastered Edition and Darksiders II: Deathinitive Edition in native 4K, along with Darksiders III on November 26 – one day before official launch. 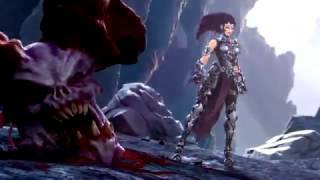 Darksiders III is a hack-n-slash action-adventure where players take on the role of FURY in her quest to hunt down and dispose of the Seven Deadly Sins. 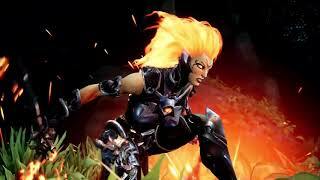 Darksiders III will be out November 27 on PC, Xbox One, and PS4. Darksiders 3 (PlayStation 4) is ranked #1252 out of 1434 total reviewed games. It is ranked #122 out of 146 games reviewed in 2018.